Download - Android x86 Oreo 8.0 ISO image [Working WIFI Connection] for PC. Recently Android x86 ORG release developing Oreo R1 based Operating System for users. And this time all bugs fixed and it will more stable for your PC with working games and Play Store. But developers work on this project so you will get more new build ASAP. 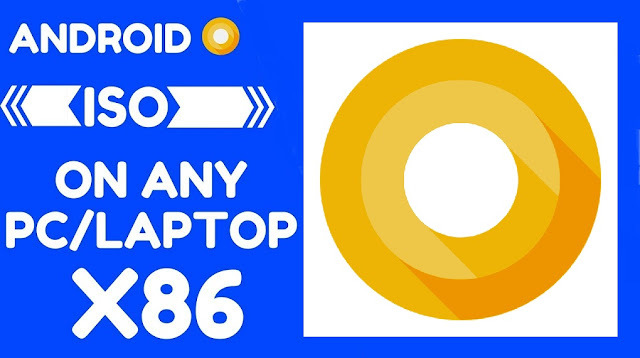 You can download Android Oreo 8.0 x86 x64 ISO image non-stable version for testing and find what's new in Android Oreo. Share this ISO with your friend and family. Please share more information about bugs and feature with us and our other visitors. there is no download,only return to technoplanners site….. The Bitly Link drives to Google Drive where it can be downloaded from the Google Drive. Google Play services can't use. You just copy this ISO from other website abd out here.